The third in the line’s highly successful Vista-class, Carnival Panorama, like its name implies, will offer popular venues offering both indoor and al fresco experiences, including the Fahrenheit 555 steakhouse, Bonsai Sushi and Bonsai Teppanyaki and Guy Fieri’s Pig & Anchor Bar-B-Que Smokehouse|Brewhouse, among others, along with fun, open-air attractions like the groundbreaking SkyRide, a massive WaterWorks aqua park, and the SportSquare recreation area featuring a suspended ropes course. Guests can also choose from an array of stateroom offerings, including vibrant Havana tropics-inspired staterooms with access to a Cuban-themed bar and pool, the Family Harbor featuring extra-roomy accommodations, the Family Harbor Lounge and the luxurious Cloud 9 Spa. Several innovations unique to this vessel are expected to be announced in the coming months. 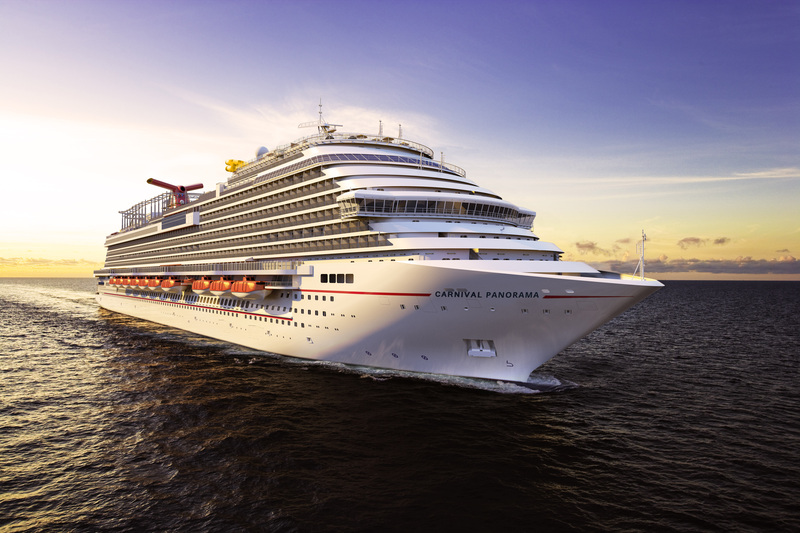 Carnival Panorama sailings are currently open for reservations. To book, contact any travel agent, call 1-800-CARNIVAL or visit carnival.com.